To fizz or not to fizz, that is the question a lot of yellow perch fishermen have been asking lately. 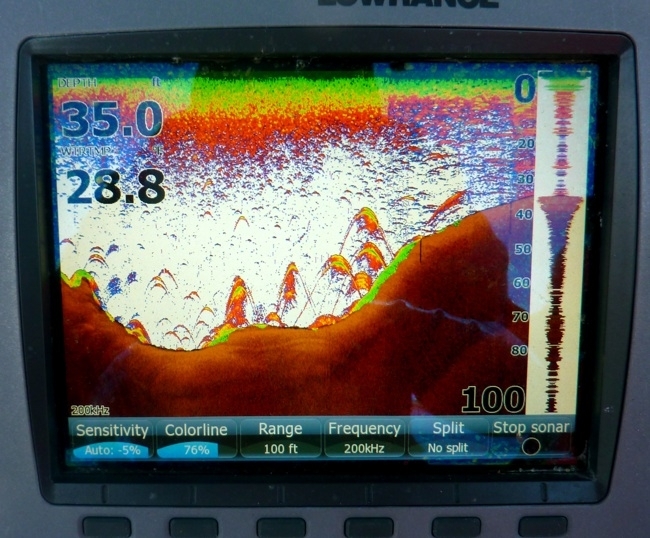 As you can see by this sonar shot, yellow perch can hold in a wide range of depths this time of year in the Chesapeake Bay. At issue is that a few of the fish we catch from the deepest water come up with distended swim bladders. Since we inevitably land a few that are under the legal size limit, they have to be released. Because of all the air in their bodies, they can’t always swim back down. This leaves them floating on top of the water where they are vulnerable to birds and other predators. The practice of puncturing a fishes swim bladder with a hypodermic needle or other sharp object to relieve pressure is called fizzing. It works for some species, but for others it isn’t such a good idea. What about yellow perch? This week, I put the question to the experts. I spoke with several fisheries biologists I know, including some at the Maryland Department of Natural Resources. Here’s what I learned. The swim bladder in freshwater fish like yellow perch allows them to control their buoyancy by regulating the amount of gas in their bodies. Some fish have ducts in their air bladder that allow them to change depths quickly, but yellow perch do not. When they change depths the air has to be expelled through tiny capillaries. That’s a very slow process. When fish are holding in deep water they have to use a lot more pressure to stay down. When they’re brought up quickly by a net or hook and line, they don’t have time to blow off the pressure, so the swim bladder becomes over-inflated. This can result in bulging eyes, protrusion of internal organs such as their stomachs though the mouth, damage to internal organs, hemorrhaging, and other problems. 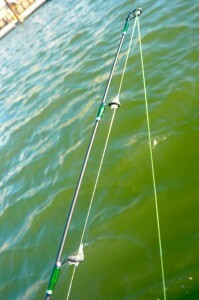 When I heard that, my first thought was that I should probably reel the fish in slower. I was wrong. According to the scientists I talked to it would take hours or even days for the fish to adjust to such a dramatic change in pressure. The problem with fizzing yellow perch is that their internal organs are arranged somewhat differently than other fish. Like their cousins the walleye, the vital organs in perch are highly compacted and very close together. There is a very high likelihood of puncturing other vital organs when fishermen attempt to fizz yellow perch. (Click on the diagram to the left to see a close-up of their internal organs.) There are research studies that show fish in the perch family are much more likely to die after fizzing. There may be some fishermen who are experienced and knowledgeable enough to fizz a perch properly, but even after 45 years of fish-handling experience, I’m not willing to take the risk. So, what’s a fisherman to do? Yellow perch are fun and easy to catch and absolutely delicious to eat. 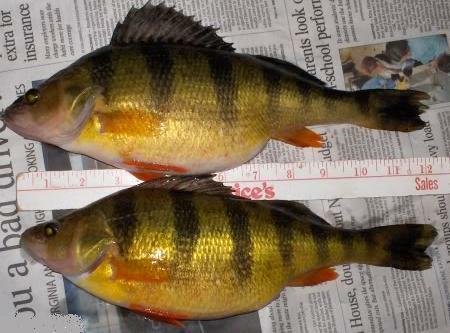 People all across the United States fish for perch through the cold-weather months. You might even call it a national winter pastime. Still, most of us don’t really want to kill fish except the ones we plan to eat. Fortunately, according to the experts, there are some practices we can use to insure more fish stay alive. First off, if we see that most of the fish we are catching out of deep water are undersized, there’s really no reason to keep fishing there. If you’re like me, you’re usually out to catch the biggest fish you can find. In the winter months prior to the spawn, Chesapeake Bay perch can be found in depths from 20 to 65 feet. A fish caught from 20-30 feet is a lot more likely to survive than one caught deeper. If we catch a fish with an over-extended swim bladder that we don’t want to keep, it’s better to just let it go quickly so it can swim back down. Research shows that tissue around the swim bladder is often capable of withstanding a pronounced increase in size for a few minutes. Most fish can re-submerge if released within a few seconds. 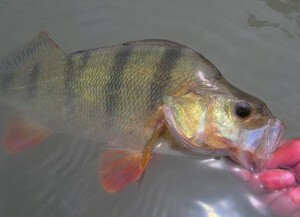 When releasing yellow perch, we also need to employ the same careful catch techniques we would with other species. These include as little handling of the fish as possible, keeping the fish wet when removing the hook, not touching sensitive areas like the eyes and gills, and cutting the line on deeply hooked fish. 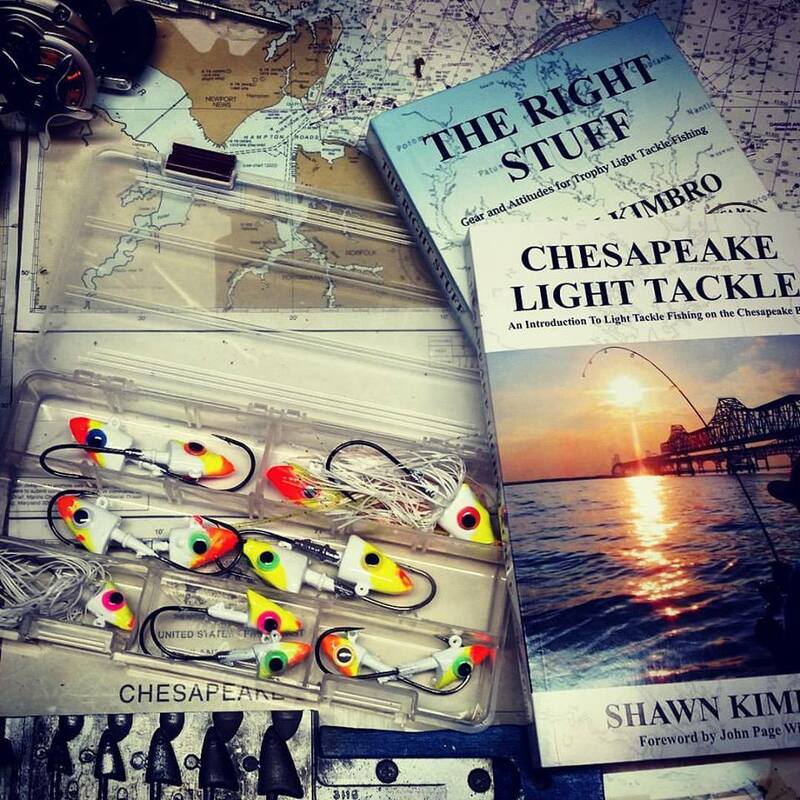 More information about catch and release techniques can be found on Maryland’s Careful Catch website. You might also want to check out the Careful Catch Facebook page to read up on happenings around the country. I only fished once this past week, getting out for a few minutes with my friend Rich up near Owens Landing. Despite very cold weather and strong winds, we found nice perch in water that was 20-25 feet deep. Although we were slipping and sliding around on snow and ice on the deck of the boat, and constantly fighting ice build-up in our line guides, we managed to land a nice limit of yellow perch in relatively short order. This week’s cold weather has iced over most of the upper Bay ramps, so fishing from boats is going to be tough for a while. 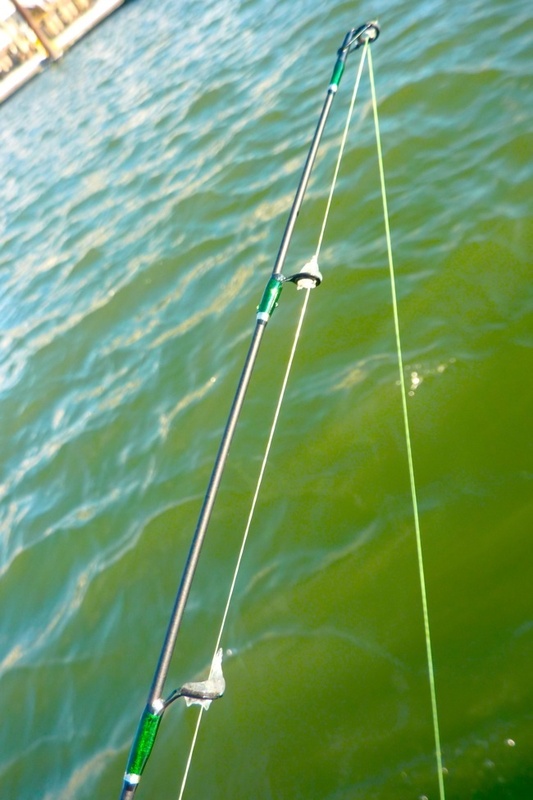 Fortunately, there are plenty of docks and accessible shoreline in the upper bay area where we can still catch fish. Most have access to varying depths, so we can adjust our casts to look for the keepers and pull off the little guys in deep water. Be careful and good luck if you get out there! great article Shawn……definetly a topic needed to be touched on. Great job!!! Shawn,Great job in getting this info out,no need in killing fish if we don’t have have to. Great information. Thanks for researching. I am a smarter man today! Appreciate the comments. Yes, there’s always so much to learn. — Marty, I was doing my best to remember everything you said, along with some suggestions I got from another wildlife/fisheries guy down south. Everyone has said the same things almost word for word. Good info and thanks for the guidance. Thanks for the interesting read as always. I grew up in the Upper Peninsula of Michigan and have spent lots of time fishing for yellow perch, often through the ice. The biggest perch that I can remember catching came from deep water in a bay on Lake Michigan and like all perch taken from deep water they often came up with distended stomachs. Of course with a creel limit of 50 and no size limit we nevery worried much about releasing fish. I do have other experience dealing with barotrama however, fishing for grouper off the West coast of Florida. As I am sure you are aware venting is a common practice in that fishery and venting tools are required gear when fishing for reef species. In reading about the best venting practices I came accross some sources that advocate release weights in place of venting. Although I have never tried it, and I am not sure how well it would work on small fish like perch it could be worth the experiment. There are commercially available devices (http://git-r-down.com/) but you could certainly make your own with a 3-4 oz. bank sinker and a simple downward facing hook. You just need someting that will keep the fish with the weight as it is being lowered and then release it with a jerk on the line. Good luck with the perch fishing, and thanks for spreading the word as always on sensible fishing practices. Hopefully I will be able to make a trip to the head of the bay myself within the next few weeks, but this weekend is being dedicated to some local bluegills through the ice. Hopefully they are hungry, I am pretty sure they havent seen a jig in at least 2 months. Thanks for all your research on this subject and helping to keep us on the right road. We put the word out at our monthly CCA meeting on the proper release methods and have made changes to keep this fishery alive and truly world class. Again thanks for all you do man! Your one in a million. Take it easy on Rich will ya? He looks frozen! 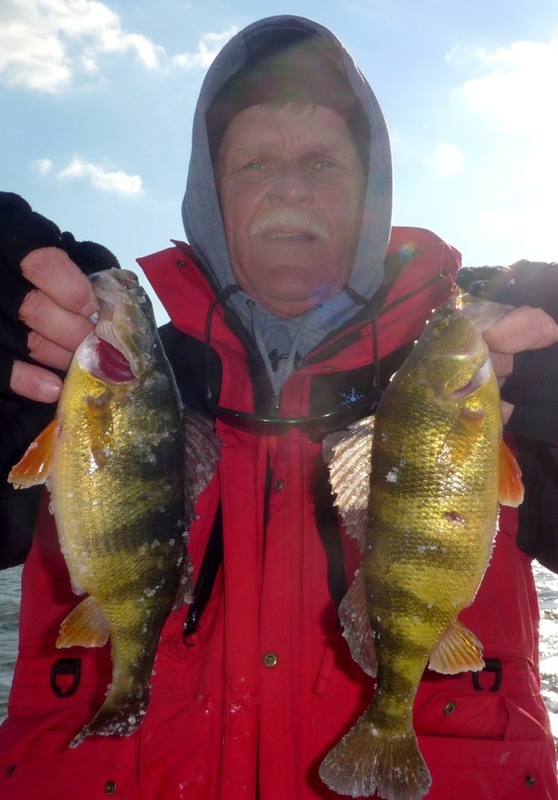 Great articles on Yellow Perch Shawn. I’m headed up on Wednesday to see Mike and do a little perchin. I tried today on an eastern shore river after duck hunting, and got a hit on a soft plastic drop shot rig, I never hooked anything, and finally decided a nap in the warm truck was a better idea than fishing. Thanks for teaching me something today and getting the word out to MD’s anglers.